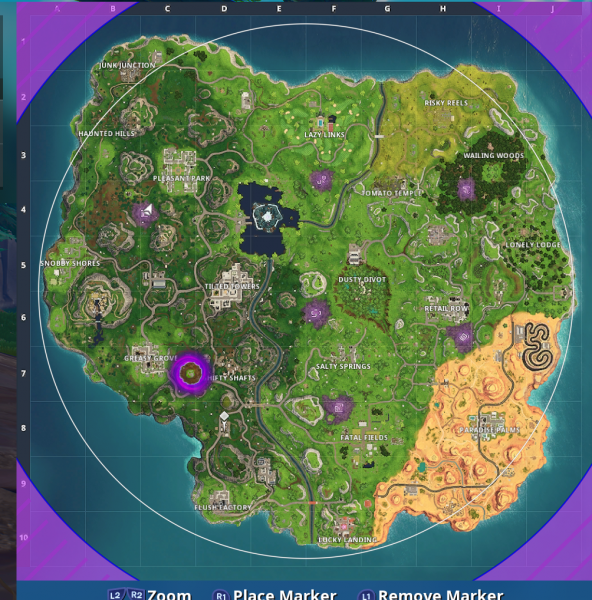 At the beginning of Season 6 of Fortnite, seven Corrupted Areas spawned around the map which have since been sucked of their power. You can see a rune at the centre of each Corrupted Area on the Fortnite map, and one of the easiest and well-rewarded challenges for Week 2 requires you to visit each of these areas, so let’s take a quick look at where you’ll need to go to complete this challenge. Some of the runes are now craters when you visit the actual sites, but for all intents and purposes, we’ll still call them Corrupted Areas. The floating island is currently hovering just West of Shifty Shafts and the Corrupted Area you need to visit is just below it. 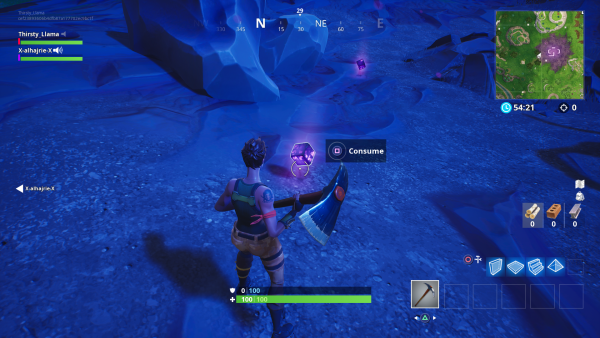 Each of these Corrupted Areas has a bunch of Shadow Stones scattered around so you can become an invisible spectre who glides around the map. There will also be the usual three gold chests surrounding the runes in the Corrupted Areas. All you need to do is visit these areas, open up the chests and hang around for a few seconds to complete the challenge. Simple!